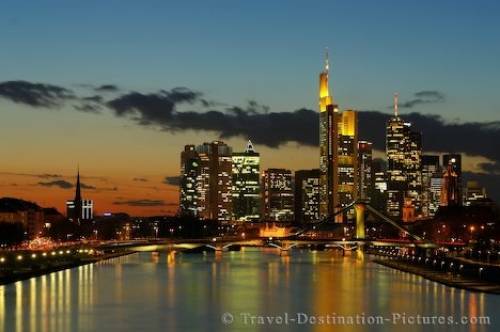 The skyline in the city of Frankfurt is ablaze with both natural blue hour colours as well as the city lighting which reflects on the river. During the blue hour this scenery was seen from a busy railroad bridge in the east of Frankfurt. With the ever changing light the city starts glowing in a golden light.